Bordetella Pertussis is a gram-negative, aerobic coccobacillus capsulate of the genus Bordetella, and it is the causative agent of whooping cough. Whooping cough is an infection of the respiratory system characterized by a "whooping" sound when the infected person breathes in. Before a vaccine was available whooping cough killed up to 20,000 people per year in the United States. But between 1985-1988 fewer than 100 children died from whooping cough. The images below are of Bordetella Pertussis (whooping cough) and were captured using the RB30 laboratory microscope and the HDCAM4 high definition microscope camera. 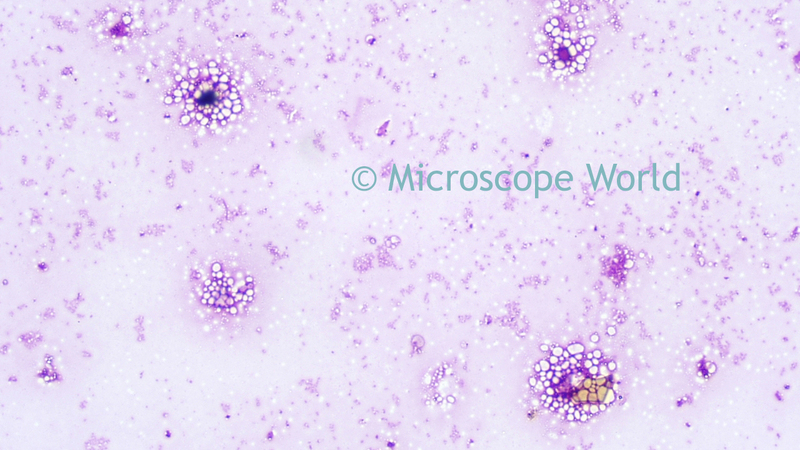 Bordetella Pertussis (whooping cough) under the RB30 microscope using 4x Plan Achromat Objective. Bordetella Pertussis (whooping cough) under the RB30 microscope using 10x Plan Achromat Objective. 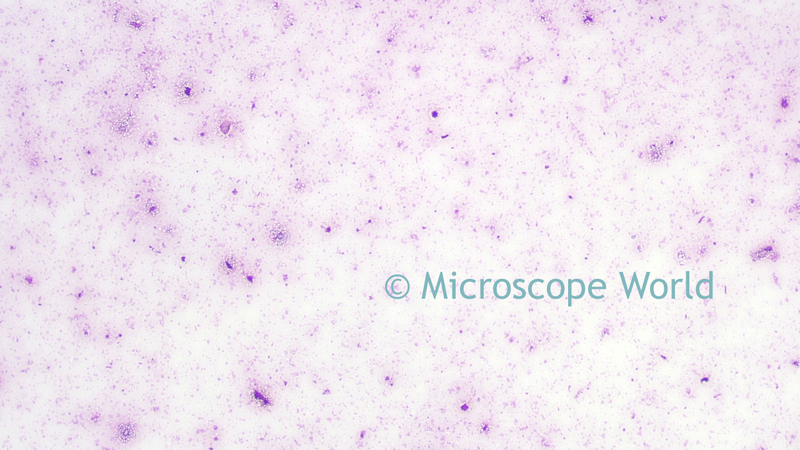 Bordetella Pertussis (whooping cough) under the RB30 microscope using 40x Plan Semi-Apochromat Fluor Objective. 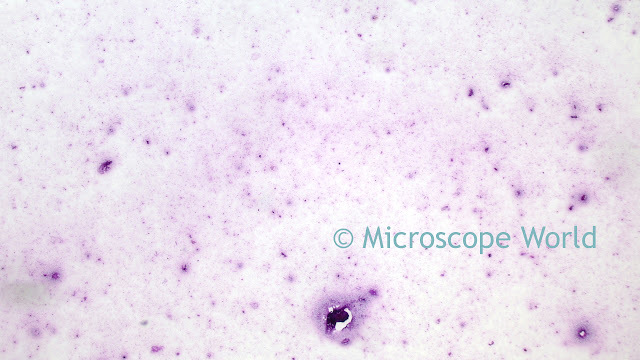 If you have questions about the different microscope objectives available, please contact Microscope World.